Acaciaplein is a Dutch health care center that initially started as a physical therapy clinic. It currently has 3 locations and they have just launched their revamped website. Along with it, Acaciaplein also announced that they will be using Facebook messenger for offering customer support. Acaciaplein is one of the renowned Dutch health care centers that also offers a physical therapy clinic too. It is the first Dutch physical therapy clinic that will be using Facebook messenger for the sake of offering customer support. The clinic recently announced the launch of their new website and this was done after three locations for the clinic has been opened already. The clinic has some major expansion plans in mind and they want to ensure that they can handle their customers in the right manner. Acaciaplein has started mainly as a physical therapy clinic back in the 80s. Currently, they have three separate locations and in Almelo, they have become one of the top multidisciplinary healthy care centers. They make it a point to offer the best level of services which have been so tailored as to offer the patients the right kind of care. When it comes to physical therapy and health care, the kind of customer support which one can get assumes gargantuan importance. This is the reason Acaciaplein has been keen to improve the kind of customer support. With more and more people hooked to Facebook these days, the idea of using Facebook messenger for customer support is commendable. Those who want to know more about what this clinic has to offer can visit acaciaplein.nl. 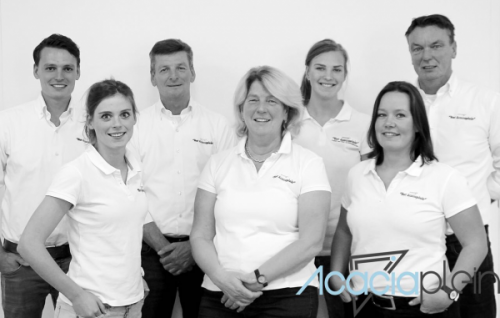 Acaciaplein is a Dutch health care center that specializes in physical therapy too. They have launched their new website and are working avidly on improving the kind of customer support that they can offer.